Beautiful Stone property built in 1730, in good condition, approax. 1 Ha of fenced lands. 350 m2 habitable + outbuildings Huge vaulted living space Pool and wonderful garden with old trees Only 4 km from Grignan, Drome Provençale Charming property, quiet place. In a joint ownership of the 60s, close to any trade, raised flat in Rdc of 58 m ². Bright south facing living room, independent kitchen, 2 bedrooms, air conditioning. A cellar and a garage complete this property. Low loads, ideal for a first purchase. Fees charge sellers. Contact: Burato Sylvain: . Valencia Victor Hugo Apartment of 178 m2, currently comprising a duplex T4 of 92 m2, a commercial space of 44 m2 in the Drc and a T2 of 42 m2, with garage of 46 m2 and a cellar of 28 m2. Several possibilities for this dwelling, to occupy it in its entirety or to rent the commercial space and the T2. Apartment in residence with swimming pool. Beautiful standing for this 175 m2 street house near the center of Valencia. Loft style with beautiful volumes, living rooms of 94 m2 opening onto a terrace facing South, 5 bedrooms. Garage of 117 m2 with workshop. Nice benefits for this property close to all amenities. Agency fees charge seller. Ti2541 - 15 min Montelimar, 40 minutes from the Ardèche Gorges, Stone Mas 400 m² on 3 hectares of land. Composed of 10 bedrooms, 8 bathrooms, kitchen, large living room, private apartment with fireplace and terrace, large swimming pool, car park, water spring, vaulted room of 300 m², River. Drôme is a big department offering a very wide variety of landscapes where mountains give way to rolling hillsides, forests, olive groves and lavender fields. From the Vercors Regional Park, a favorite spot for hikers, skiers and climbing fanatics, to Drôme Provencal with its marvelous smells of lavender, and where the roads are interspersed with delightful hilltop villages, everyone can find what they are looking for here. 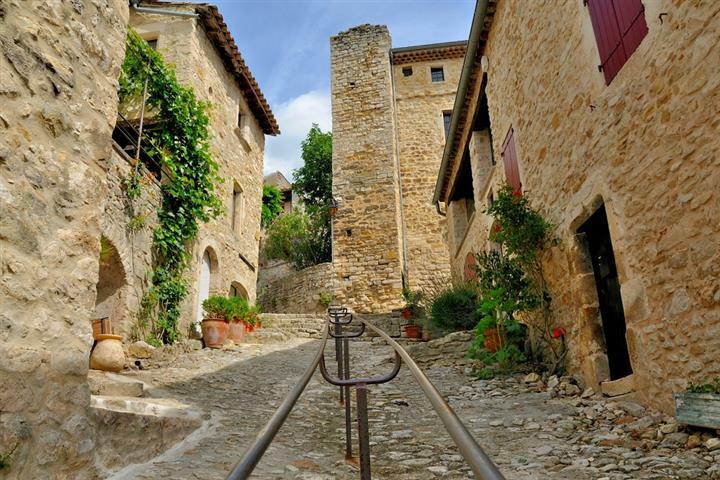 Property in Drôme is very rich and offers a range of properties at all prices: land, apartments, old houses, villas... According to one's tastes and budget, you will have plenty of choice: an apartment in Valence, a villa in Montelimar, or an old farmhouse around Nyons.